This is a super star. The photo recently won two 1st place awards in two different categories in two different competitions. The first award was in the Macro/close-up category and was named "Swamp Fairy Mushrooms" and in the second competition this photo won Best of Category in the Nature category and was called "Cascading Swamp Mushrooms" . Best of Category is the same as 1st place in your category. 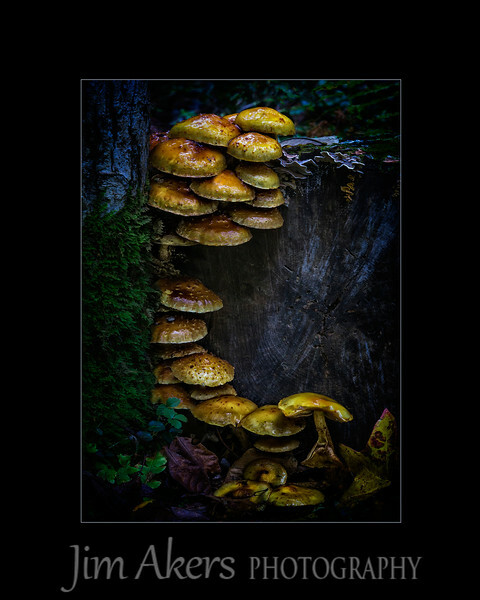 Cascading Swamp Mushrooms merited with a score of 80 in the Professional Photographers of California competition and will be on display in March 2015 at the Pasadena, CA convention center.